I got this little gem for Christmas. I don't have a lot of Eyes Lips Face items, but two of their things are among my all-time favorites- the powder brush and the eyebrow kits. I highly recommend both of those items. 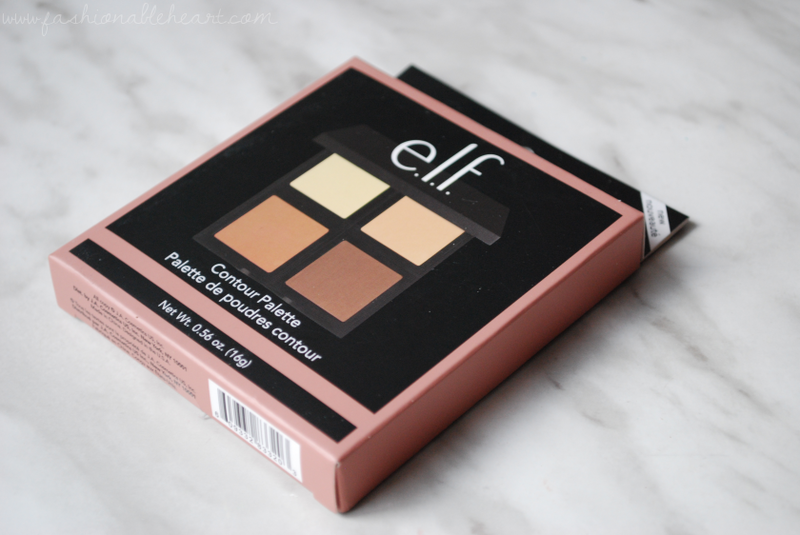 I originally wanted the Illuminating Palette, but my husband couldn't find it and grabbed this Contour Palette instead. No complaints here! Though I do still hope to find the Illuminating one and add it to my collection at some point. Short story shorter: my husband did good. 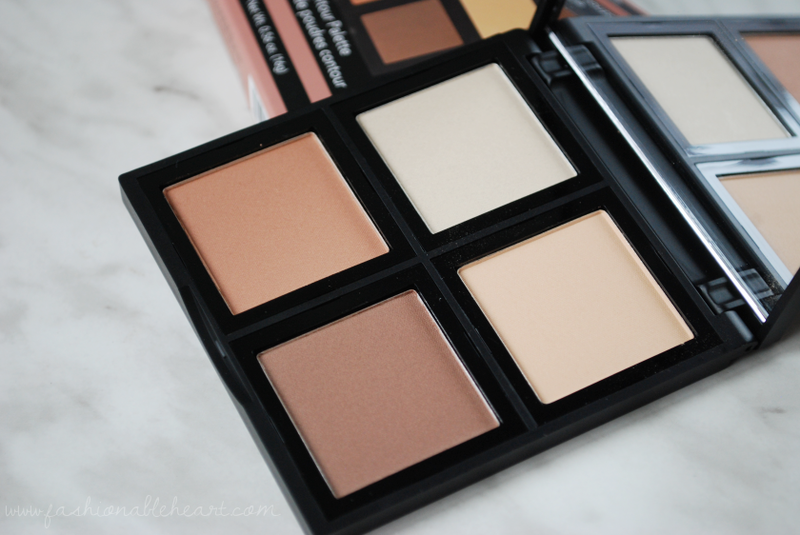 Continue reading for my review and swatches of the Contour Palette in Light/Medium! I love the compact. It's sturdy and the mirror takes up the whole lid. You can also pop out the little squares and change the order or make your own palette that works for you. I will keep this in mind for when I do finally get my hands on the illuminating version. My only concern is that when I tried to pop one out, it really felt wedged in there and I don't want to disrupt the powders. The shade selection is great. 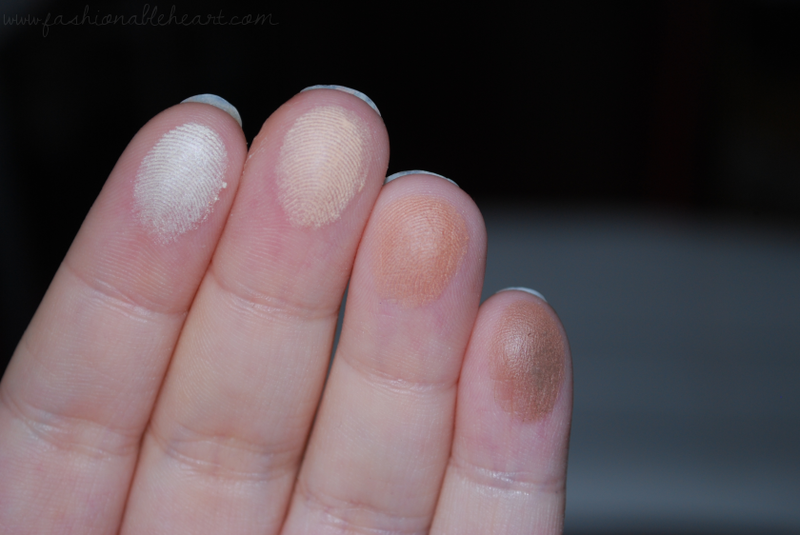 I use all four shades and none are too dark for my fair skin, though I do use a lighter hand with the darkest shade. They are smooth and easy to use, though a bit on the powdery side. 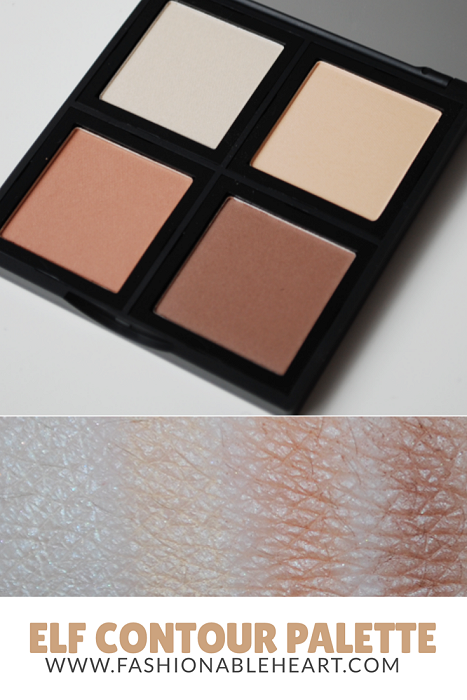 Both highlighting shades are minimal in shimmer, offering a natural effect that works perfectly for daytime looks. And if you do want your highlight to be more "BAM! ', this can act nicely as a base with other products to make it even more intense. Lasting power is so-so. Does it do what it promises with shading, sculpting, brightening, and highlighting? In my opinion, yes. It's hard to find sculpting shades that don't look orange or like mud on my skin, but they succeeded. My husband bought mine at Walmart, if you're wondering where you can find it in Canada without having to order it online. There is a dark version of this, as well. Also, E.L.F. does not test on animals. Let me know if you have this compact and what you think of it. Also let me know some E.L.F. products you love that I need to add to my list to try!